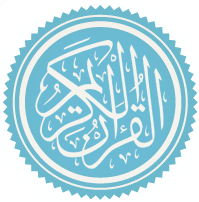 al ikhlāṣ, also known as al-Tawḥīd is the 112th chapter (sūrah) of the Qur'an. In the early years of Islam, the surah of the Quran came to be known by several different names, sometimes varying by region. This sūra was among those to receive many different titles. It is a short declaration of tawhid, God's absolute oneness, consisting of four ayat. Al-Ikhlas means "the purity" or "the refining". In Islam, God is a God, the absolute one, the all-powerful and all-knowing ruler of the universe, and the creator of everything in existence. 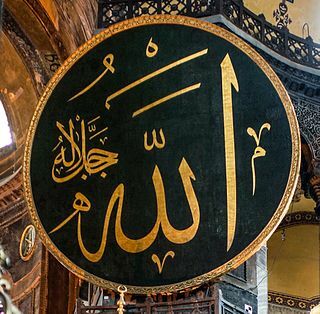 Islam emphasizes that God is strictly singular : unique, inherently One, also all-merciful and omnipotent. God is neither a material nor a spiritual being. According to Islamic teachings, beyond the Throne and according to the Quran, "No vision can grasp him, but His grasp is over all vision: He is above all comprehension, yet is acquainted with all things." Createdness refers to the doctrinal position that the Qur’an was created, rather than having always existed and thus being "uncreated". The dispute over which was true became a significant point of contention in early Islam. The Islamic rationalist philosophical school known as the Mu'tazila held that if the Quran is God's word, logically God "must have preceded his own speech". The Qur'an, of course, expresses God's eternal will, but the work itself must have been created by Him at some point in time. The Proof of the Truthful is a formal argument for proving the existence of God introduced by the Islamic philosopher Avicenna. 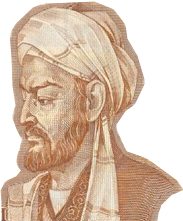 Avicenna argued that there must be a "necessary existent", an entity that cannot not exist. The argument says that the entire set of contingent things must have a cause that is not contingent because otherwise it would be included in the set. Furthermore, through a series of arguments, he derived that the necessary existent must have attributes that he identified with the God of Islam, including unity, simplicity, immateriality, intellect, power, generosity, and goodness.